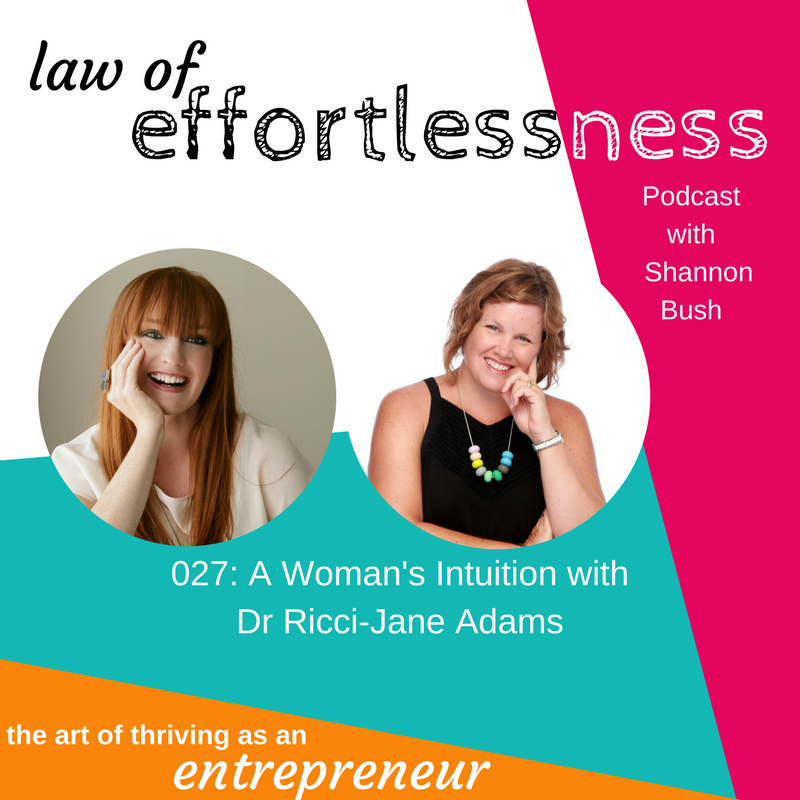 In Episode 027 of Law of Effortlessness Podcast, Shannon Bush talks with Dr Ricci-Jane Adams from the Lightworker Institute about women’s intuition. They talk deeply about the blocks and the things getting in the way for women being women in the world. They discuss the power of knowledge and the need to be educated and know about things. Do you feel disconnected in your life? 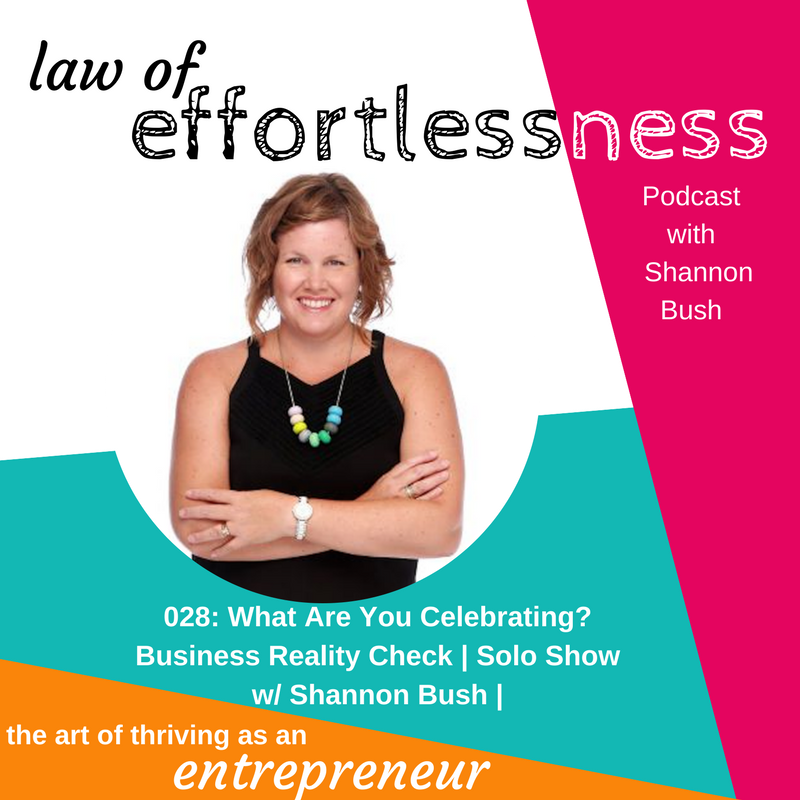 Listen in to hear Shannon and Dr Ricci-Jane talk about the disconnection women often feel. They look into where it started and how it affects women today. Dr Ricci-Jane talks about the fear women often have around intuition. 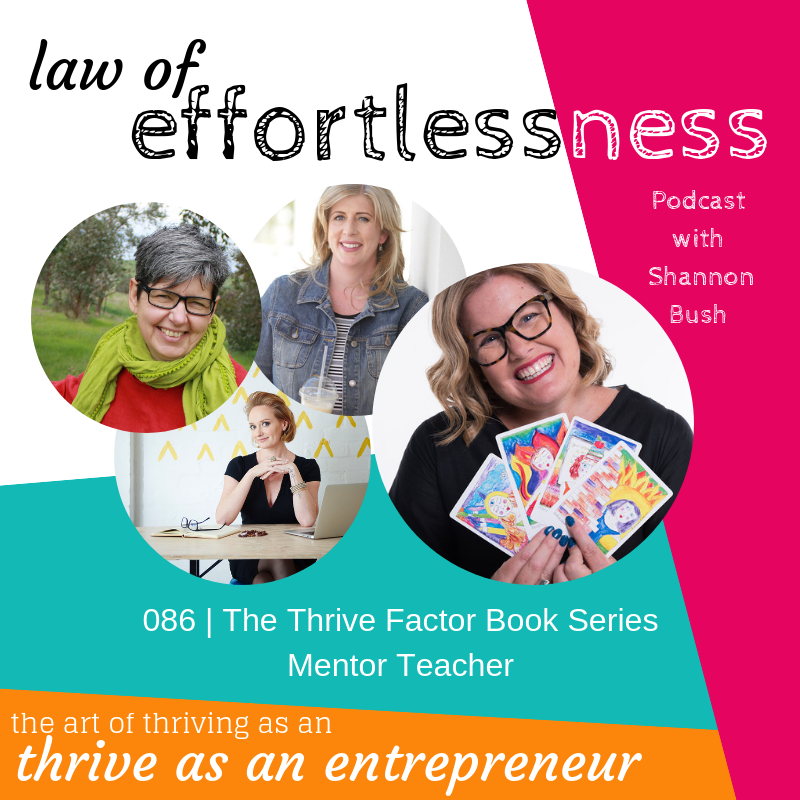 She reveals your fear is not that you don’t have intuition; your fear is that you know exactly what you have to do and it terrifies you because it means you have to step outside of the expected role you have been sanctioned to play. 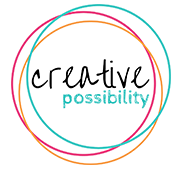 This entry was posted in Business Wisdom, LOE Podcast, Personal Leadership and tagged business success, creativity, Dr Ricci-Jane Adams, international womens day 2017, intuition, law of effortlessness, Lightworker Institute, magnetic marketing, marketing, Mindset, networking, online marketing strategy, perth small business, podcast, small business, small business success on March 28, 2017 by Shannon Bush.